The AARP will provide free tax assistance to seniors, low income individuals and families on Wednesdays, February 3 through April 13, 12:00 PM to 4:00 PM at Tacoma Library's Moore Branch. Assistance is provided on a first come, first served basis. Capacity does fill quickly. Make sure you bring a government issued I.D., your Social Security card, all relevant tax documents, and if possible last years' tax return. 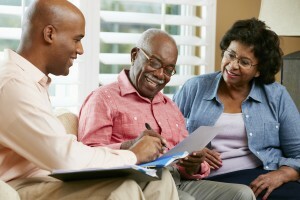 The AARP is solely responsible for providing assistance.